England let a two-goal lead slip as they drew 2-2 with Spain in Gareth Southgate's final match in interim charge on Tuesday night. Adam Lallana put the hosts ahead from the penalty spot after nine minutes at Wembley, following Jose Reina's trip on Jamie Vardy, and England looked to be heading for victory when the Leicester forward scored his first goal in 15 games three minutes after half-time. But Iago Aspas, making his Spain debut, cut the deficit on 89 minutes and Isco slid home a dramatic equaliser deep into added time to cap an entertaining friendly. Southgate must now wait for the Football Association to make a decision on Sam Allardyce's long-term successor, with his record reading two wins and two draws from four games. He made three changes from the win over Scotland on Friday, with Jesse Lingard, Nathaniel Clyne and Vardy called into the team, and the hosts swiftly opened the scoring in front of a sell-out crowd. Lallana, who limped off after 25 minutes through injury, played a vital role in winning the penalty before stepping up to convert. The Liverpool midfielder's through ball picked out the run of Vardy, who went down under the challenge of Reina, with Lallana on hand to tuck into the top corner from 12 yards. It came against the run of play and Spain continued to control possession after falling behind, with Vitolo in particular guilty of squandering a golden chance to equalise. But England had opportunities of their own before the break, with man-of-the-match Vardy inches away from making contact with Raheem Sterling's inviting cross. The Leicester man, who was without a goal since September 10, did get on the score-sheet shortly after half-time, meeting captain Jordan Henderson's delivery to plant a header past Reina. 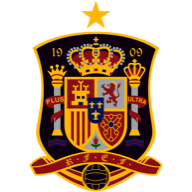 Spain responded and substitute 'keeper Tom Heaton did well to deny skipper David Silva, while Aspas skewed wide from close range under pressure from Clyne. Manchester United midfielder Ander Herrera came on for his international bow, and his introduction, combined with that of Real Madrid duo Isco and Alvaro Morata, sparked the visitors into life. They grabbed a deserved goal through former Liverpool forward Aspas, who picked out the top corner of Heaton's net, and snatched a 96th-minute equaliser when Isco nutmegged Heaton. 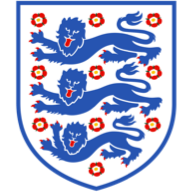 England do not play again until March 2017, when they face Germany in a friendly before resuming their World Cup qualifying campaign against Lithuania.